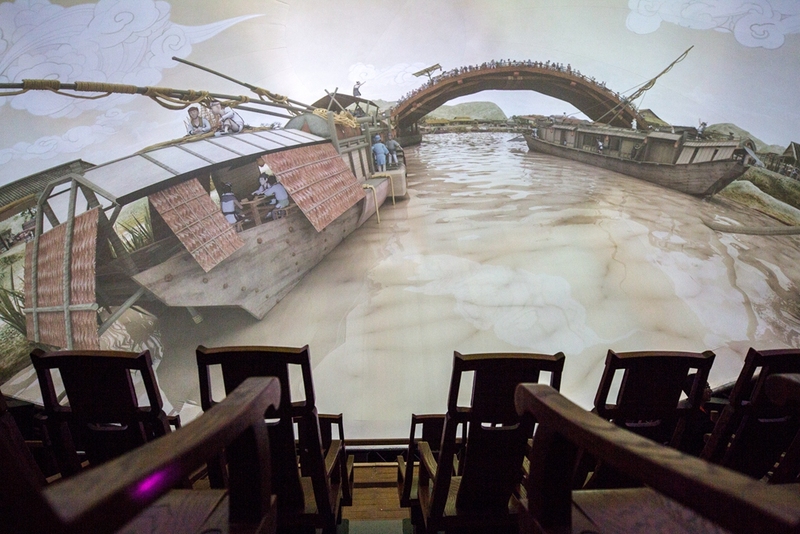 The second part of the exhibition, the Sun Yangdian Interactive Theatre Space, offers visitors the chance to experience how the people of the Northern Song lived in a 360 degree immersive space. 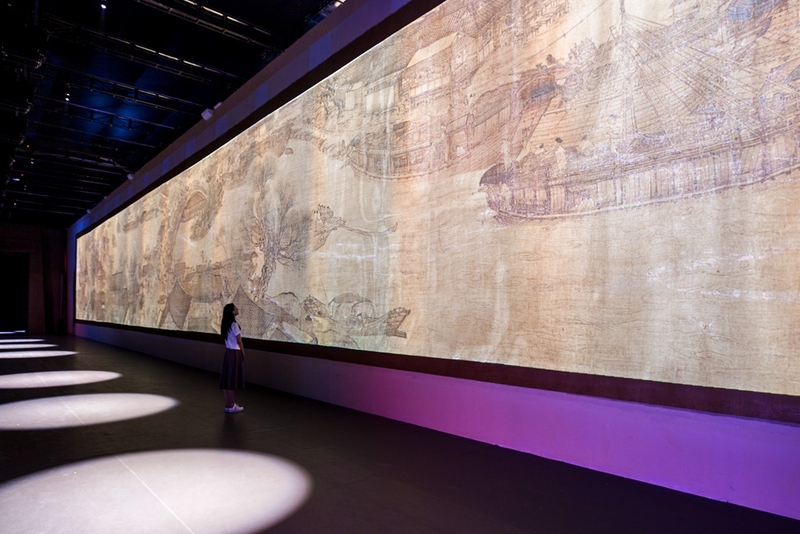 May 18 marked the 42nd International Museum Day and the launch of a hi-tech interactive art exhibition based on the ancient Chinese painting Life Along the Bian River at the Pure Brightness Festival (Qingming Shang He Tu) at Beijing's Palace Museum, made possible via a partnership between the museum and Phoenix Satellite Television. 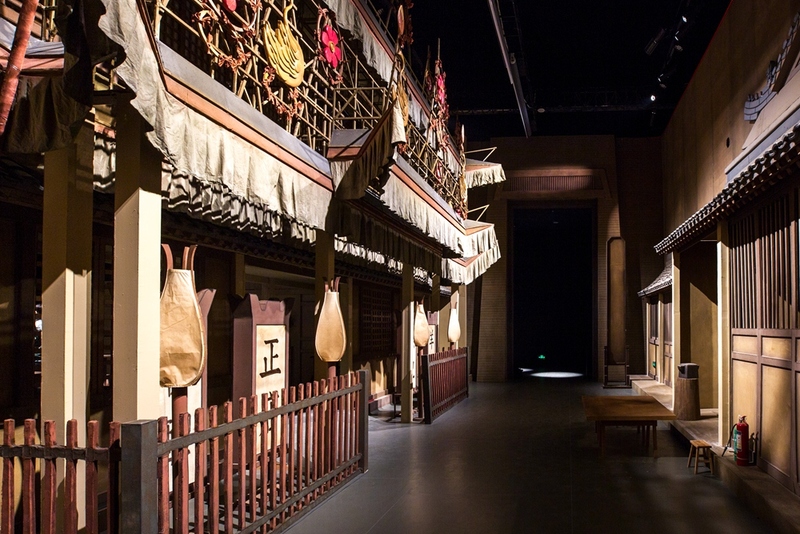 The theme chosen for this year's International Museum Day was "Hyperconnected Museums: New Approaches, New Publics," and the Palace Museum's exhibition is offering audiences a novel and immersive experience which is highly consistent with this theme. It is an innovative exploration of a masterpiece created by the painter Zhang Zeduan during the Northern Song Dynasty (960-1127) and currently curated by the museum. Curator of the Palace Museum Shan Jixiang expressed his joy that the project had come to fruition at the opening ceremony on May 18. He said that while the fusion of culture and technology is a common topic in the world today, this exhibition is nonetheless seminal in successfully realizing such integration. 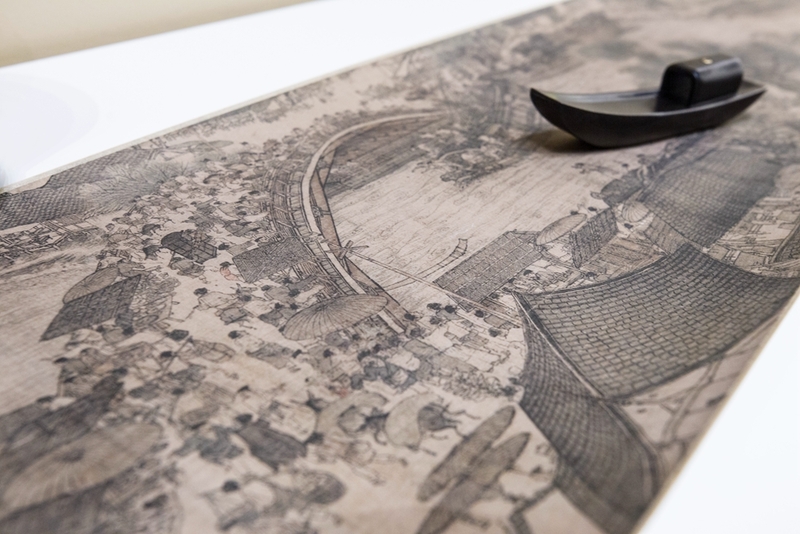 The installation, which will later go on tour to other countries around the world, not only retains the original aesthetic value of the work, but also allows the audience to walk into one of China's cultural relics and experience the culture firsthand. "'The hyperconnected museum' pushes the limits of our imagination. The museum originated as an important vehicle for enriching people's cultural life, a place of cultural exchange. In our global and interconnected world, the modern museum must embrace change and innovation, reaching a wider audience by looking for new methods and technology through which it can display and curate. We need to adopt more vivid and flexible ways of conveying classical art and culture to younger generations and spread a sense of cultural confidence within them," Shan said. The national treasure Life Along the Bian River at the Pure Brightness Festival is one of the most significant of all the 1.86 million items in the Palace Museum's collection, and is probably the best known work of ancient Chinese art worldwide. The painting, an artistic embodiment of prosperous urban life during the Northern Song, is renowned for its faithful depiction of boats, bridges, shops and scenery. In 960, the country's capital Bianjing (today's Kaifeng in central China's Henan Province) was home to more than one million people, making it the most populous city in the world. Its economy, technology and culture, too, stood at the forefront of global development at the time, making this masterpiece all the more valuable as it not only depicts the fabric of contemporary everyday life in immense detail, but in doing so it captures the essence of a golden era for Chinese civilization. 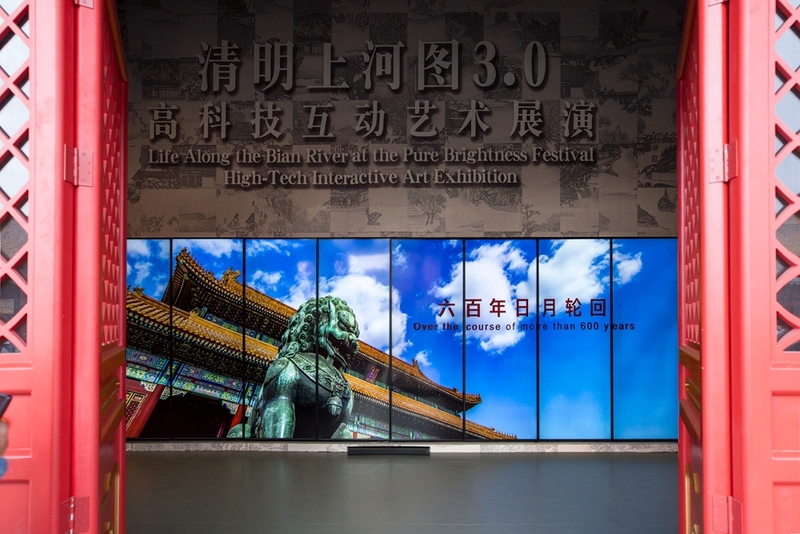 "This exhibition serves people's need for more diversified forms of entertainment, and the integration of culture, art and technology can enhance young people's enthusiasm for Chinese civilization. Once its run in Beijing comes to an end, the exhibition will go on tour to other countries around the world. We hope this technology-inspired display can promote the artwork as a symbol of Chinese culture to the international community," said Liu Changle, Chairman and CEO of Phoenix TV at the opening ceremony.